SC’s growing tire manufacturing industry generate off-spec production tires for recycling in addition to scrap tires generated by retailers, fleets and residents. South Carolina reaps the benefit by recycling these tires and manages ongoing concerns such as scrap tire piles. Tire Derived Fuel (TDF) is the major commodity produced in South Carolina from recycled tires. 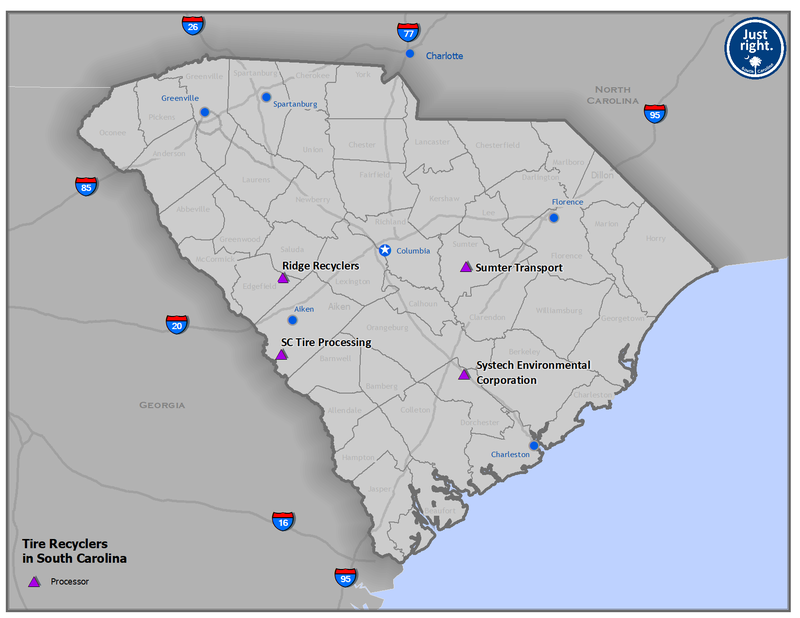 Several industrial sites in South Carolina utilize TDF as part of their fuel stream. Tires can also be ground into landscape mulch, playground surfacing and crumb rubber for asphalt.